Your 4WD suspension has a lot to contend with, particularly if you like to get a long way off the beaten track! Every time you hit a pothole or climb a rocky slope, the suspension takes the load, so it’s important that you have quality components, and that you know what to look out for when wear and tear starts to take its toll. What’s so special about 4WD suspension? Unless you stick to city roads 24/7, your 4WD suspension has a bit more to handle than the average car. When you’re dealing with rough terrain or steep tracks, the suspension has to work extra hard to absorb the impact. 4WD suspension is heavier duty than your average vehicle, but the nature of 4WD driving means bushes and shock absorbers will wear. The right components and a regular check will help ensure you always have a smooth, safe and comfortable ride. If you’re really keen on off-roading, you’ll want to keep the original feel of your suspension. That means when it’s time to replace the suspension components, you’ll want to stay with rubber. Bushes are used to hold the suspension and steering components in place, so they’re a critical part of the engine set up. They need to be flexible enough to allow for movement but robust enough to keep everything in place. The difference between traditional polyurethane bushes and rubber ones is that polyurethane is a much harder material. It doesn’t allow nearly as much flexibility, which is particularly important for 4WDs. 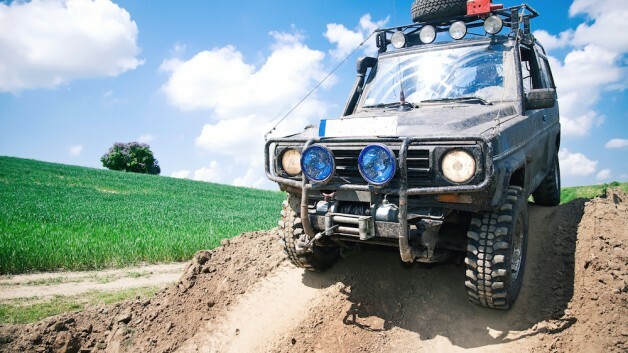 When you’re off-road the shocks and bumps can actually cause polyurethane to crack and break down. In contrast, naturally malleable rubber absorbs the noise, impact and vibration. Regardless of how and how often you use your 4WD you do need to keep suspension on the radar. Worn bushes can affect steering and sometimes braking, add to vibration and noise, and accelerate tire wear, meaning a rougher drive and potentially, costly repairs. Experienced hands will find rubber suspension bush kits are quick and easy to install so you can easily keep your vehicle in tiptop condition. When it comes time for a change or upgrade, we offer convenient suspension bush kits that have everything you need in a single package. That means you save time and avoid mucking about with single bushes. If you need advice, just get in touch with one of our stockists who can help you find the right components based on what, where, and how often you drive. Electric Vehicle Parts and Charging: Is This Our Future? Is Your Car Ready for the Holiday Road Trip?